Page Street Publishing, 9781624143274, 224pp. Take Your Recipes Up a Notch, Y’all! Loreal Gavin, a.k.a. 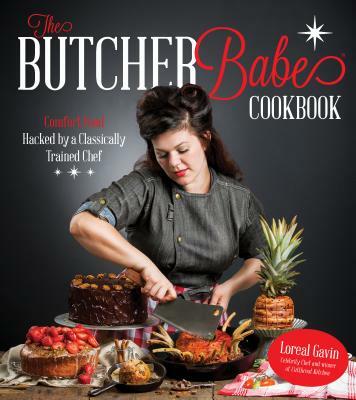 The Butcher Babe, shows you the delicious collision of down home dishes and classic French cooking in this incredible collection of new comfort food recipes. This Southern belle’s specialty of baking, butchery and bourbon will have you showing your kitchen some lovin’ with fun, flavorful and soulful recipes. From her culinary beginnings of cooking with her grandma and imbued with stories of her journey as a chef, Loreal’s unique point of view gives her knowledge that spans from traditional French cuisine to butchery and pastry. There’s plenty of meat, dessert and, of course, bourbon to go around as you delight in the mix of traditional and nostalgic favorites like Corndog Casserole and Crustacean Crab Cakes, and in mouthwatering new recipes like Root Beer Bites, Bourbon-ana Bread Pudding and Affogato Where My Keys Are. Learn the culinary rules, and Loreal will show you how to break them. Loreal Gavin was born and raised in Louisiana before moving to Indiana. She studied culinary arts at Sullivan University and worked at L.E. Kincaid & Sons Meat Market in Indianapolis. Loreal was a chef at Bourbon’s Bistro where she cooked for various distillers. She appeared on Next Food Network Star and won Cutthroat Kitchen. She lives in Louisville, KY.